With the holiday season officially upon us, it’s a good idea to take a moment and consider the importance of self care. While it’s true that the concept of self-care is something that’s discussed ad nauseum this time of year, that doesn’t change the fact that stress can be just as detrimental to your health as poor eating or smoking. Stress can physically damage your heart. According to the American Institute of Stress, the incidence rate of heart attacks increases after major stress events, such as hurricanes or earthquakes. Additionally, a Swedish 5-yr study concluded that stress leads to an increase in instances of angina, high blood pressure, and stroke. Stress leads to weight gain. Researchers at the University of Miami found that people who find themselves in chronically stressful situations tend to consume up to 40% more food than normal. High stress is a physical trigger, which means your immune system suffers. This means that you’re more susceptible to colds, infections, and the flu. Additionally, stress can lead to an increase in headaches, digestive malfunction, and emotional distress. It’s all well and good to know you need to take care of yourself, but it can feel impossible this time of year. There are presents to buy, meals to make, trips to take, and family gatherings to attend. How on earth can we be expected to fit in any time for self care?! Here are a few things you can sneak in between all the errands, letting you take care of everyone else – and yourself – all at the same time. 5 minute meditation. Insight, which is free and available for all platforms, provides timers and a large library of visualizations. Whether you are trying to eat mindfully, cut yourself some slack, or forgive a family member, there is something to help you get where you need to go. Pop a heat wrap in the microwave and sit with it around your neck for 10 minutes. While you sit, do something pleasurable: play a game on your phone, watch a funny Youtube, call a friend. Do not work on your to-do list. You might know that October is National Breast Cancer Awareness month, but October is also Healthy Lung Month. As the temperature drops and seasonal allergies kick up, it’s the perfect time of year to give our lungs a little TLC. COPD is the 3rd leading cause of death in the US. Currently, it’s estimated there are 24 million un-diagnosed cases and only 11 million diagnosed (ALA). Pollutants and cigarette smoke are bad for everyone, but women are especially vulnerable. Lung Cancer is the leading cancer in the US – causing more deaths than colorectal, breast, and prostate combined. A cough that has lasted more than 3 weeks. If you smoke, please stop. We know it can be hard, and we would be happy to help you with smoking cessation counseling. It doesn’t matter how clear the air around you is, if you’re smoking, your lungs are going to suffer for it. Be mindful of pollutants. Some of us are more sensitive to one thing over another (car exhaust versus industrial cleaners, for example). Listen to your body and try to avoid those things that trigger you. If you can’t avoid them, head over to your local hardware store and invest in a quality face mask. Work your lungs out. Try to get daily aerobic exercise of some kind; walking, biking, and swimming are all low-impact ways to help your lungs reach their full capacity and strengthen their overall performance. School is officially back in session. So, it’s pretty likely that you – or someone you know – now has a child in school. With having to keep track of homework, sports schedules, and play dates, it can all get overwhelming. Fast. Here are the most common injuries/illness as well as some tips to avoid them. Between recess and physical education classes, the opportunities for injury abound. Given that students in elementary school and middle school are still growing, they are particularly at risk for breaks. What may seem like a sprained ankle might actually be a growth plate fracture. So, it’s important to see your doctor, and potentially an orthopedist, asap. But, while you’re waiting for the appointment, you can use the RICE pain management program: rest, ice, compression, and elevation. You should also feel free to use children’s ibuprofen to help with the swelling. This can be tricky because red eyes can be just as easily due to sleep deprivation or allergies; as a result, pink eye is one of the most contagious illnesses during the school year. To avoid it, practice good hand-washing hygiene, avoid sharing towels, pillows, or eye makeup. If you think you have pink-eye, or if someone close to you has it, avoid touching your eyes with your hands and toss any potentially contaminated makeup or personal care products. And, of course, come see us for proper diagnosis and treament. 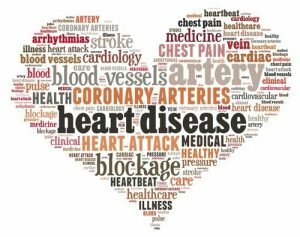 You might know that heart disease is the leading killer among Americans (it’s the cause for 1 in 4 deaths according to the CDC). But, did you know there is a test that you could take to aid in early detection? The test is non-invasive, takes about 15 minutes, and is covered by almost all health insurance providers. It’s called an ABI, and it determines whether or not you have Peripheral Arterial Disease (PAD). An EKG tests the function of your heart (which is important, of course), but it doesn’t check all of those important arteries in your arms and legs. A blockage in one of your limbs can lead to heart attack or stroke just as quickly as a blockage in your heart can. Just last year, over 11,000 people in Maryland died from some form of heart disease, and another 2,700 died from stroke. In Howard County, 1 out of every 10 people hospitalized in 2016 were there due to some sort of heart disease (CDC). You’ll lie down on a table, and one of our doctors will put a cuff around your arm to take your blood pressure. Then, they’ll put a dab of ultrasound gel on your arm, just below the cuff. They’ll repeat this on your other arm and both ankles. In order to hear your blood flow, the doctor will use something called a Doppler device. It’s a little plastic tool, and they’ll hold it against each spot of gel in order to get an accurate reading. Once the doctor has all of your readings, they’ll put them together to create your Ankle-Brachial Index. The lower the number, the more blockage you have. And, once we have your reading, we can begin a treatment plan if necessary. If you fit any of these criteria, and you have not yet had your ABI this year, please call us at 410-730-7040 to schedule your test. Streams and lakes are a great way to cool off, but that doesn’t mean they’re safe to drink. Parasites can hide in even clear water. Drink safely by either treating or filtering the water first. Otherwise, stick to bottled. Avoid heat-related illness by drinking more than you think you need and, to replace lost salt from sweat, enjoy juices, sports drinks, or coconut water. If you feel you are starting to suffer from the heat, try to move to a shady/air-conditioned location, take a cool shower, and do some light stretching to avoid cramps. If you’re not feeling better after half an hour, seek medical attention. If your symptoms are severe, don’t wait. Dial 911 immediately. Drowning is the 2nd leading cause of injury-related death among children under 15 (CDC). To maintain safety, follow pool rules and stay in close proximity to young children. If on the beach, pay attention to lifeguard settings and encourage children to stay nearby. Pair older kids with younger ones when possible, and never let your child swim alone. You can take the pool safety pledge here. Always wear a life jacket when aboard a boat. There are life jackets for every age and activity; you can even buy them for your beloved dog. Keep your pool (or the public pool) germ free by showering before swimming, washing hands, and avoiding the pool when your stomach is upset. Try to avoid being right in the sun between the hours of 10am and 2pm. Wear light-weight clothing to shield exposed skin. Wear sunglasses made to block both UVA and UVB rays. With more and more health information available at our fingertips, and with every expert hopping up with their tip or trick for wellness, it can be easy to lose sight of some of the simplest things we can do to stay healthy. One of the simplest things is ensuring you and your family stay on top of your immunizations. Unvaccinated children are not only at risk for disease, but they risk spreading that same disease to infants (who are often too young to receive the vaccine) or the elderly (who may not be able to receive the vaccine due to cancer or autoimmune diseases). In order to keep everyone protected, it’s important to follow the vaccine schedule your doctor prescribes. If you do, your baby will be protected from 14 diseases by the time they are two years old. If you do accidentally fall behind on the schedule, a doctor can “catch up” before adolescence. With school right around the corner, it’s important to ensure your children are protected. Remember: kids share everything, germs included. In Maryland, the state requires all students have vaccines for Whooping Cough, Polio, Measles/Mumps/Rubella, Hepatitis B and Chickenpox. Last year, a new policy went into effect requiring children to have 2 doses of Chickenpox for entry into Kindergarten and First Grade. 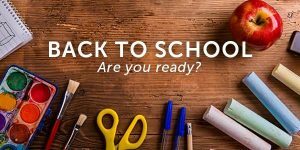 As Middle School rolls around, it will be time to re-evaluate your growing student’s vaccination needs. In Maryland, students require 1 additional dose of Tdap for entry into seventh and eighth grade, as well as 1 dose of Meningococcal. And while it is not legally required, both the CDC and the National Public Health Information Coalition strongly suggest the HPV vaccine to prevent against cancers that may be caused by HPV. Additionally, they suggest a yearly flu vaccine for added protection. All adults should get the recommended vaccines in order to protect their health; also, to avoid becoming a carrier and risking infecting others. It does not matter how healthy you are; we all need to protect ourselves. Ideally, everyone would get a Flu vaccine yearly, a Tetanus shot once every 10 years and a Whooping Cough vaccine if you intend on being around small children. If you are over the age of 65, it’s also recommended that you receive the Shingles vaccine as well as the Pneumonia vaccine. From time to time, you may also require specialized vaccines for travel purposes. This is something we specialize in and would be happy to help you navigate. It can be difficult to keep track of all you need to do as you navigate your pregnancy. However, if you’ve been keeping up to date on your vaccines, it won’t be difficult to follow the recommended guidelines. If you’ve left some vaccines lapse, you should do your best to catch back up before pregnancy. Then, during your pregnancy you should get Whooping Cough and Flu. Doing so during your pregnancy will allow you to pass some protection on to the baby and avoid illness/complication. At One World Health, we realize you are busy and know that – at first glance – this might seem like a lot to keep track of. But remember, the majority of these are covered by most large insurance companies, and your doctors can help you keep track of what you’ve already had and what you still need to take care of. Even better, we do all of our vaccinations on site. So, if you’d like to go over your record, or if you know there are a few you need to catch up on, please call us to set up an appointment at 410-730-7040.